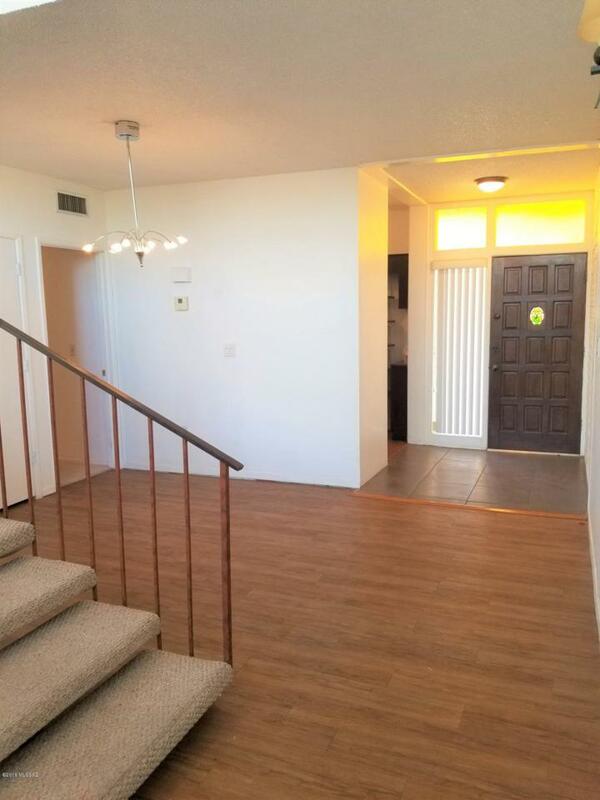 This is a truly Contemporary Condo with a great location on the Close in East side of town. This condo reminds you of Contemporary Lofts back east and in the mid-west. Open, Spacious, and Soaring Celestial ceilings greet you upon entering this home. 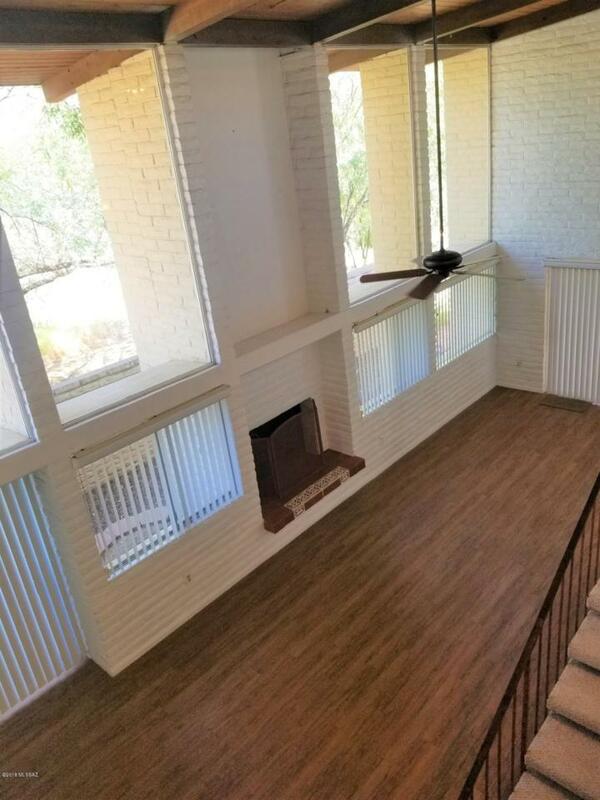 Large Great Room with tiled wood floors, fireplace, soaring wood ceilings and a wall of windows looking right at the Catalina Mountain. 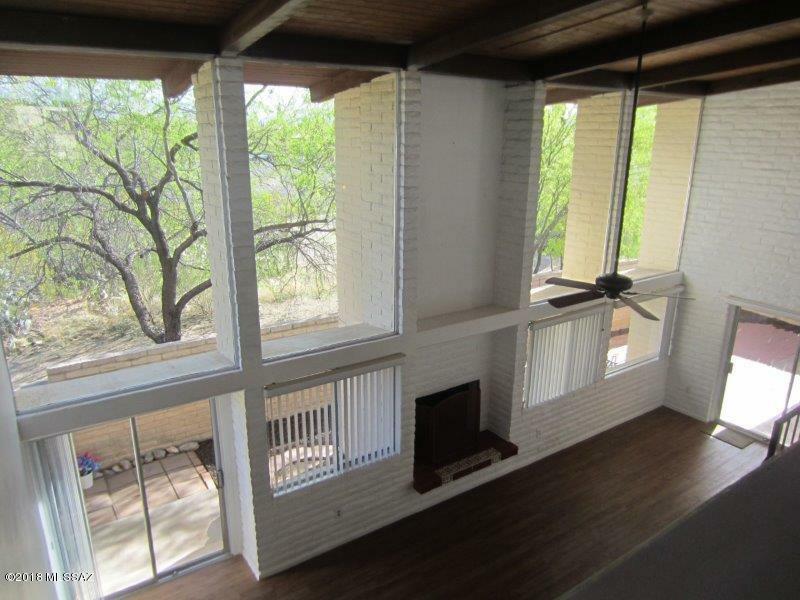 Large Upstairs Master Bedroom that opens onto the great room below plus balcony. 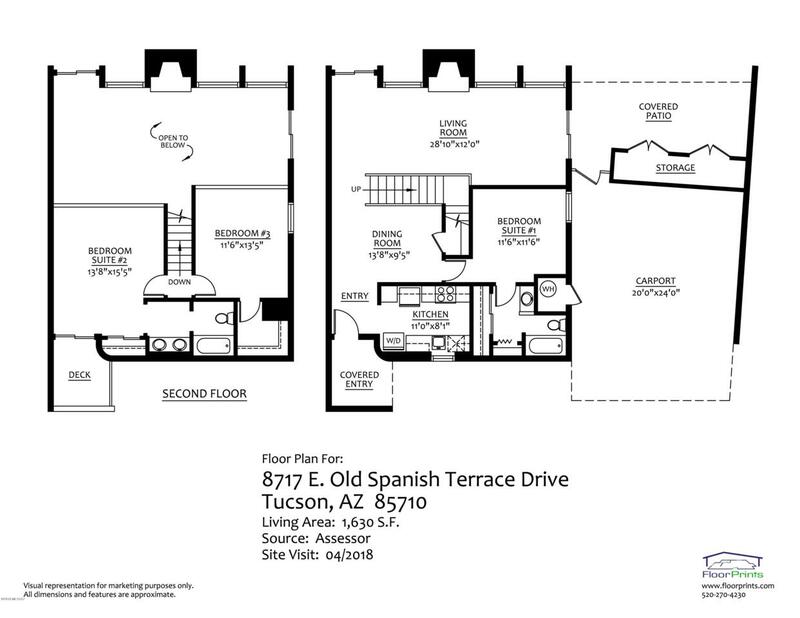 also a second bedroom upstairs with walk in closet. First Floor bedroom with full bath with built in shelving. Galley Kitchen with Cherry Wood Cabinets. Also Formal Dining room on the 1st floor. Nice Sized Covered patio and small yard plus lots of extra storage. 2 car attached carport gives you plenty of space for cars.